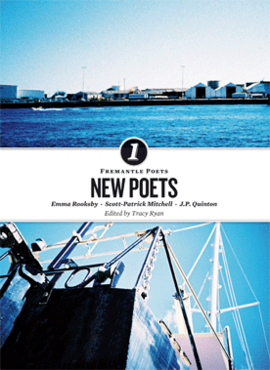 Fremantle Press have published a book which includes Emma Rooksby, Scott-Patrick Mitchell and myself. New Poets, edited by Tracy Ryan. Made possible by Georgia Ritcher, Kiri Falls, Clive Newman and everyone else at the press.